This is called Eurasian Kestrel in the Kennedy guide. This bird is a migrant. It measures 14" and has long pointed wings, a long tail with a subterminal black band, and a moustachial stripe. Our first view and photo of this bird was in UP Diliman in 2010. 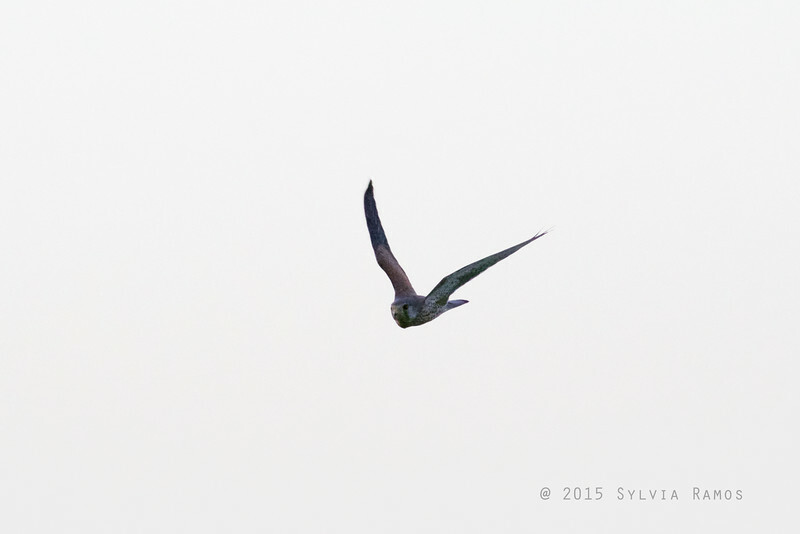 It was past sunset and the Kestrel was hunting and catching bats. We were in UP to see the Brown Owl, which we didn't see. The other birders like Prop Jerry, Trinket, and Adri were able to id this bird. We got to see and photograph this bird again in Sabtang, Batanes. It was behaving in the typical Kestrel manner of hovering while hunting. It was using the ridge of a hill and the wind for lift while staying almost stationary in the sky.